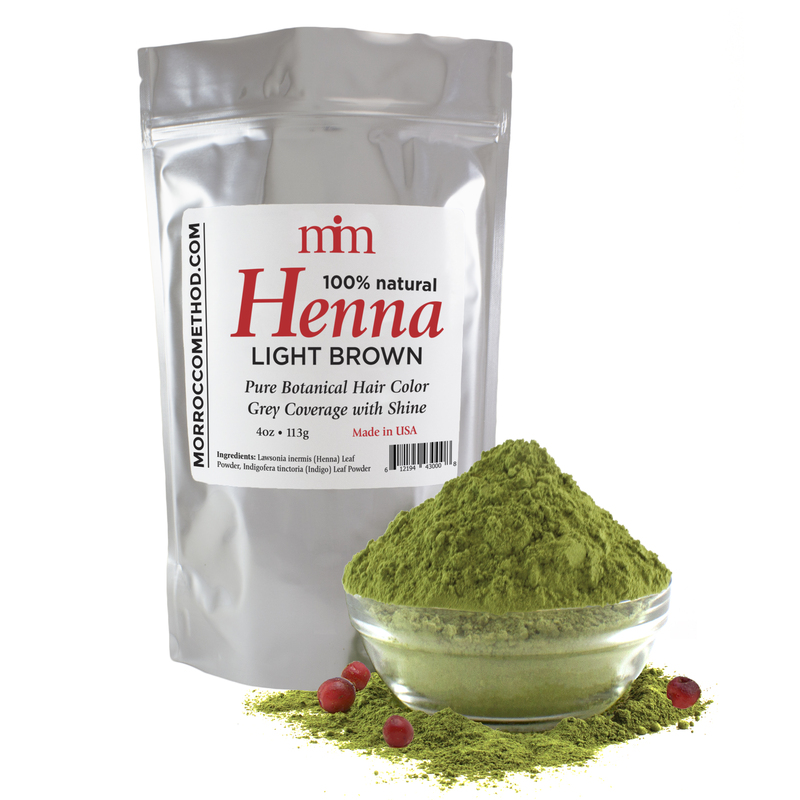 Light Brown Henna is perfect for naturally golden brown hair coloring, coverage of grays or root touch-up. Also conditions for increased manageability, gloss and shine. Morrocco Method Henna is 100% chemical free and contains no harsh metals, parabens, or toxins that irritate the hair and scalp. No matter the color of henna, it is deeply nourishing, conditioning and the perfect alternative to harsh chemical hair dyes. Light Brown Henna is the perfect color for people looking to enhance their natural shade of light brown while adding shine and warmth to their hair color. Using a specific ratio of the henna leaf and bark, MM offers the finest in chemical-free hair color.